Location: Neyron, in the Ain departement of France (Rhone-Alpes Region). 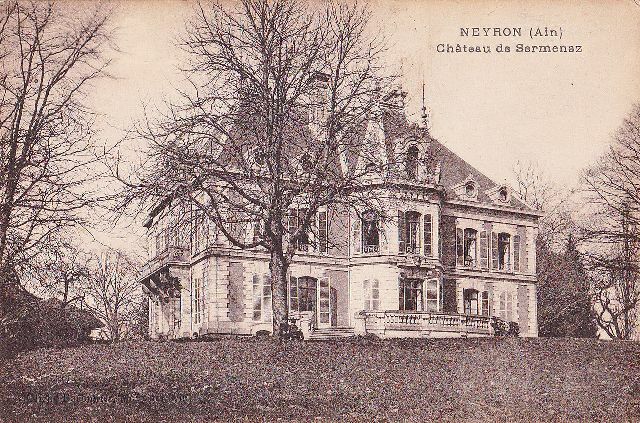 Notes: Château de Sermenaz is a castle of the nineteenth century that stands in the town of Neyron in the department of Ain and the Rhône-Alpes-Auvergne region. He succeeds old castle from "minima" of the fifteenth century.The castle includes a ground floor and first floor, topped with a slate roof in the attic which are (partly) furnished. The facade includes a porch with two columns and is surmounted by a balcony with stone balusters.